To help keep your Citroen in the best possible condition it needs to be regularly serviced. The cost of servicing and any necessary maintenance repairs caused by natural wear and tear are included as part of your Motability agreement. Your Citroen will need to be serviced either annually or after a certain number of miles. Our Motability service specialist will contact you just before your service is due to arrange an appointment at a time to suit you. As an approved Citroen dealer we only use parts that are approved by the car manufacturer, so you can have complete peace of mind that you are getting top quality parts. We understand how important it is for you to keep mobile so we will always try and provide a courtesy car where possible. If you require a courtesy car with adaptions you will need to speak to Motability about getting the right courtesy car before your appointment. We also offer a collection and return service where we will collect your vehicle from your home or workplace and return it once the work has been completed. 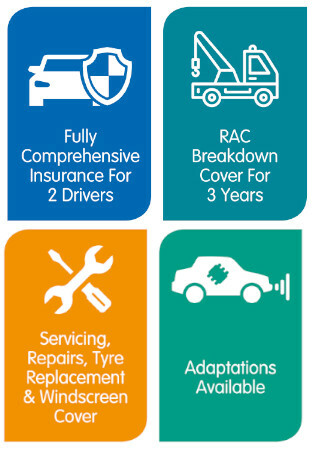 If you adhere to the service schedules set out by the car manufacturer and keep your car well looked after you may receive a Good Condition Bonus. At the end of the agreement we will take photos and take a brief description of the car’s condition to help Motability decide if you are eligible for the bonus. If your car meets Motability’s requirements you will automatically receive a cheque within 28 days of the car being returned. When taking your car to one of our dealerships please ensure you bring along your service book (if you have one) so we can complete and stamp it for your records. You may need to provide this as evidence to prove the car has been regularly serviced.